Nagwin is a Nagios implementation for Windows systems. It is a packaging of Nagios Core and many other related tools to make it a complete and ready-to-use solution for system monitoring. 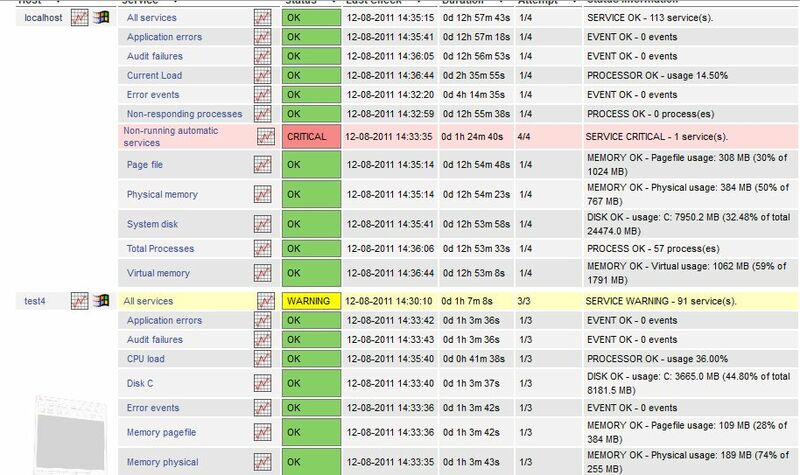 You can use Nagwin to monitor your IT-infrastructure Nagios-way from Windows. Nagios is a powerful monitoring system that enables organizations to identify and resolve IT infrastructure problems before they affect critical business processes. Nagios monitors your entire IT infrastructure to ensure systems, applications, services, and business processes are functioning properly. 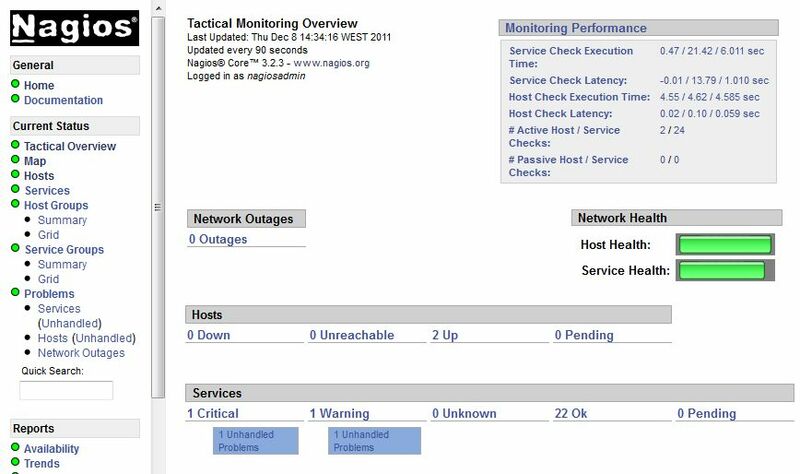 In the event of a failure, Nagios can alert technical staff of the problem, allowing them to begin remediation processes before outages affect business processes, end-users, or customers. Cygwin is a Linux-like environment for Windows. It consists of a DLL (cygwin1.dll), which emulates substantial Linux API functionality, and a collection of tools. 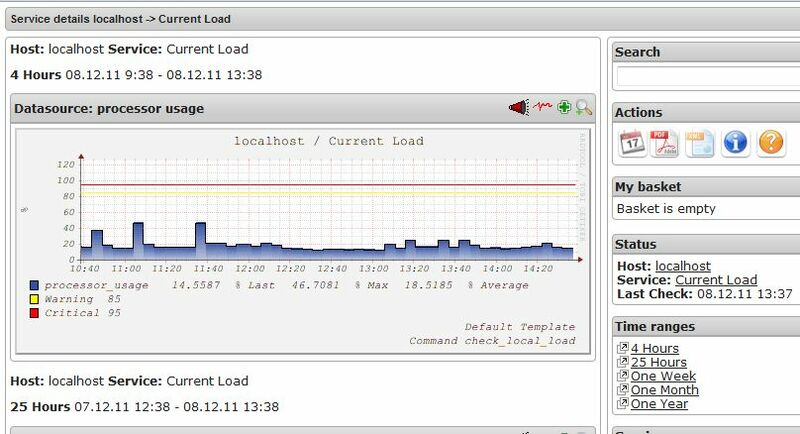 Following tools are also a part of Nagwin: Nginx, Php, Perl, Net-SNMP, Pnp4Nagios, RRDTool and Blat. The product consists of Nagwin installer for 64-bit systems and 1-year upgrade protection and support is included. 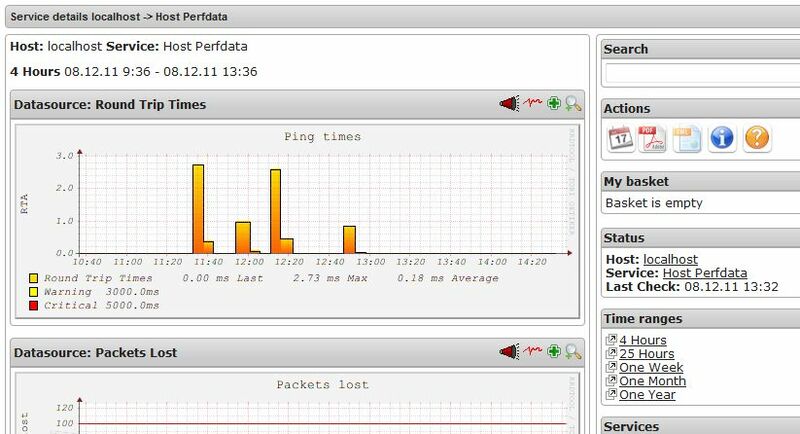 Select number of hosts to monitor. Contact us if you need a specific number of hosts other than those available here. At the end of the installation, Nagwin gives you some information about how to start. Simply start Nagwin services and point your browser to http://localhost. Nagwin uses Nginx as web backend with PHP in FastCGI mode. As Nginx doesn't support CGI, a FastCGI wrapper is developed to serve Nagios CGIs. Nagwin contains standard Nagios Core and should be able to monitor any device as long as you have monitoring plugins for it. Nagwin has already a small set of plugins ready to use in the /plugins directory, and there are a large number of plugins available at Nagios Exchange. However, due to Nagwin's limited environment and Windows, there may be a limited support. You need to try and find out yourself. By default, Nagwin is configured to monitor your local machine. See following pages for some basic examples. Nagios configuration files are located at etc\nagios directory. Main configuration file nagios.cfg is configured to accept all configuration files in the subdirectory nagwin. Consult available Nagios documentation to move forward and extend your implementation. In the case there are discrepancies, you can use Nagwin forum available on this site. For notification purposes, you can use blat, which is installed as a part of the package (see Nagios.cfg for examples). How to enable Active Directory authentication for Nagwin ? How can I change the port number of Nagwin's built-in web server ? How can I get notified by e-mail in Nagwin ? I get user error when I run "Check Nagios configuration" from the start menu ! How to enable SSL secure communications for the Nagwin web server ? How to monitor Nagwin itself ? What are the default login credentials for Nagwin and how can I change the password ? Nagios license (GPL) Source code for Nagios is available here. RRDTool 1.7.0 RRDTool license (GPL) Source code for RRDTool is available here.